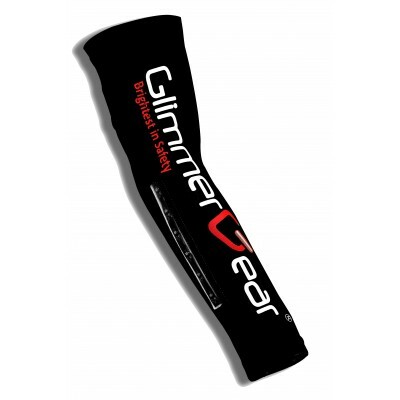 Glimmer Gear LED Arm Sleeves provide visibility, safety and compression. Made with breathable Coolmax Polyester, which draws moisture away from the skin's surface and disperses it so it can evaporate rapidly while being light weight, durable, and stretchable. Comes with Red LED strip. At Glimmer Gear we recommend Maxell batteries for our products. Maxell batteries are desig..